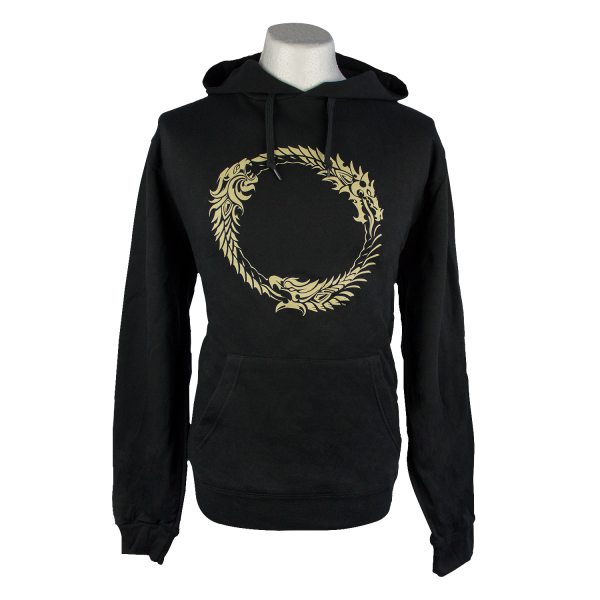 This hoodie shows the Ouroboros from "The Elder Scrolls Online", an antique symbol depicting three creatures (dragon, eagle and lion) eating their own tails. The cotton-polyester mix (80% cotton, 20% polyester) guarantees a long fit and durability of this warm and comfortable hoodie. Manufactured by Gaya Entertainment.